My favorite window display by far! 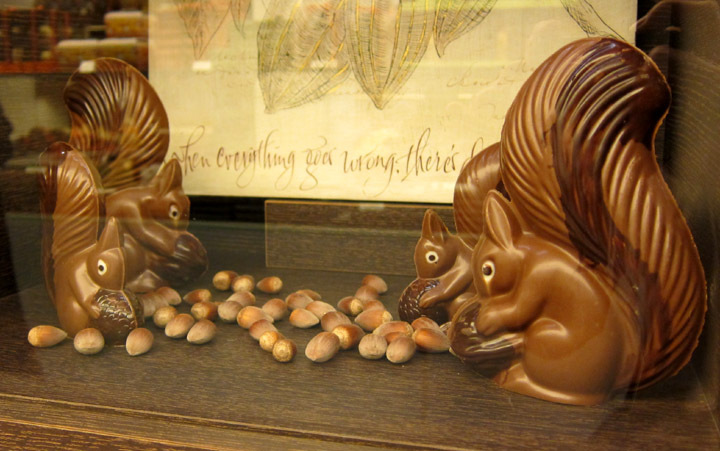 Chocolate squirrels with hazelnuts inside Depla Chocolaterie. 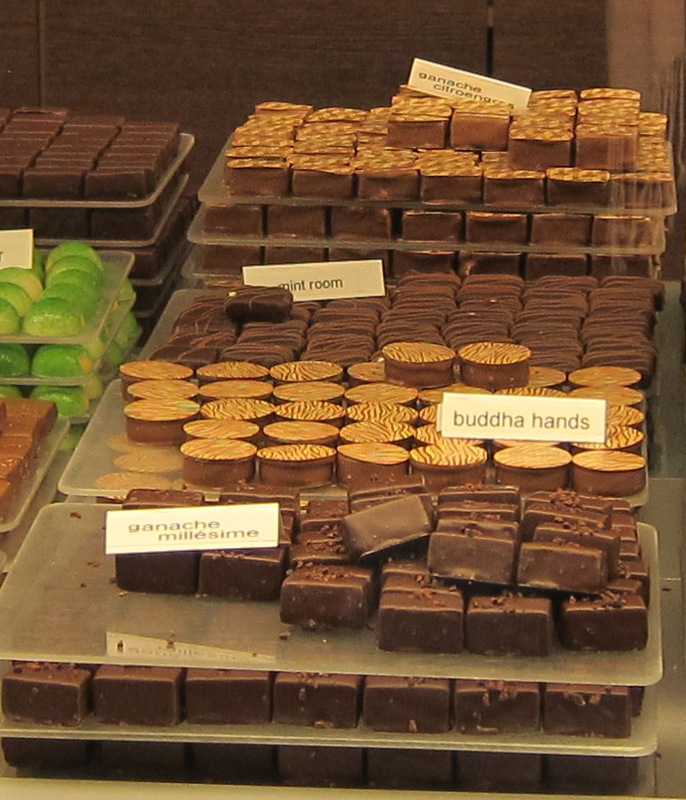 There is definitely a hierarchy of chocolate shops in Bruges. You’ll find the cheap, average quality shops with their novelty shapes and tourist gift packages. Then there are the big brands like Godiva and Leonidas. 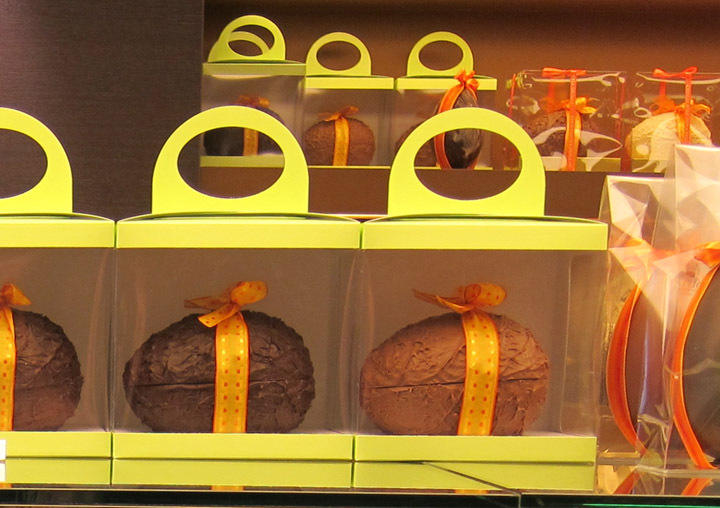 You will also find the established shops like the cozy and creative The Chocolate Line with its wasabi truffle or the tasty and modern Dumon Chocolatier. 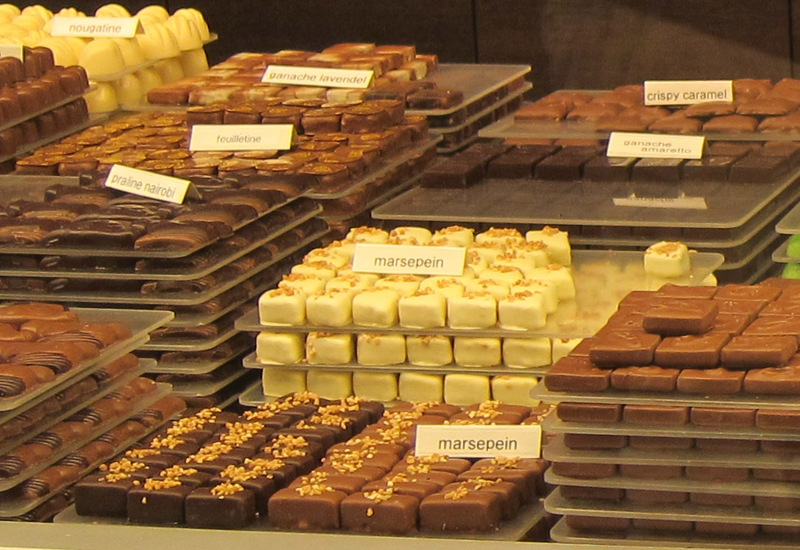 But by far, the best chocolates, truffles and pralines that I had in Bruges were from Depla Chocolaterie (20 Mariastraat). It is a family business now run by Pol Depla just off the city center but completely worth a visit for the best chocolates in Belgium! 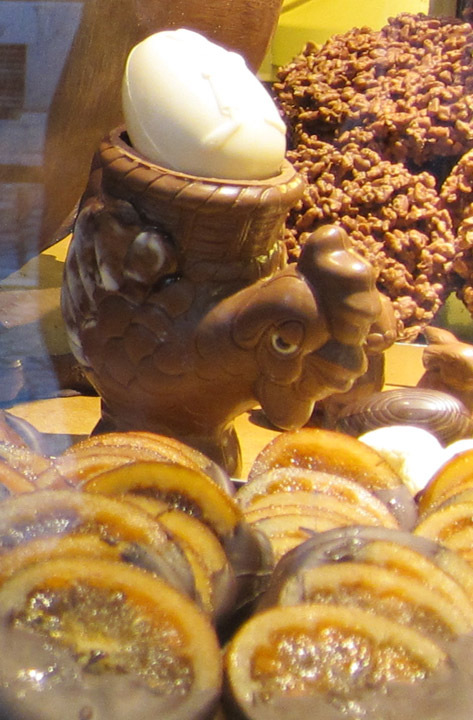 Depla Chocolaterie store window decorated for Easter. More delicious Delpa chocolate truffles. 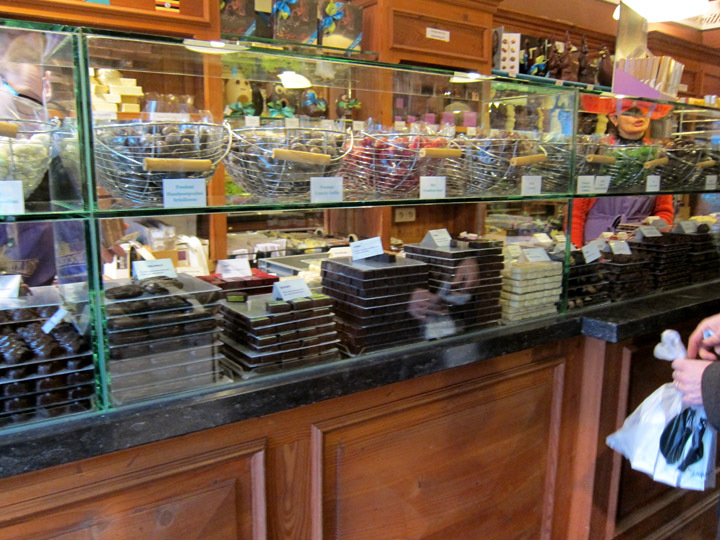 The truffle counter at the popular The Chocolate Line in Bruges. 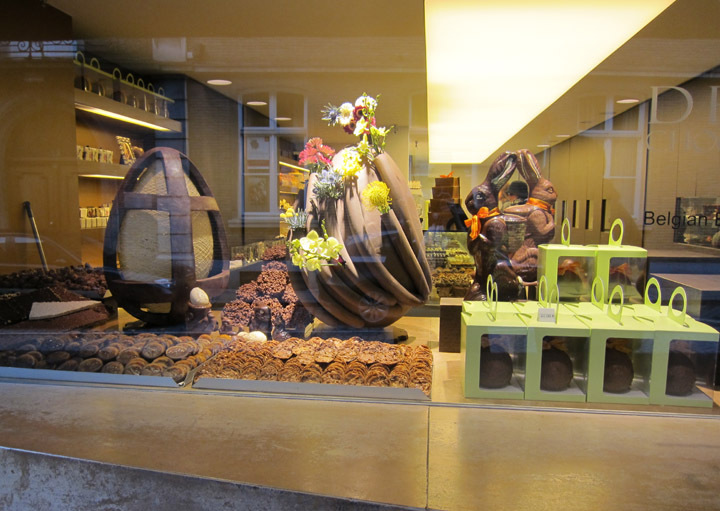 Easter window display in Bruges. Even simple, cheap chocolate eggs are good. Chocolate dipped oranges, chocolate rice krispie treat and a sleepy chocolate rooster. 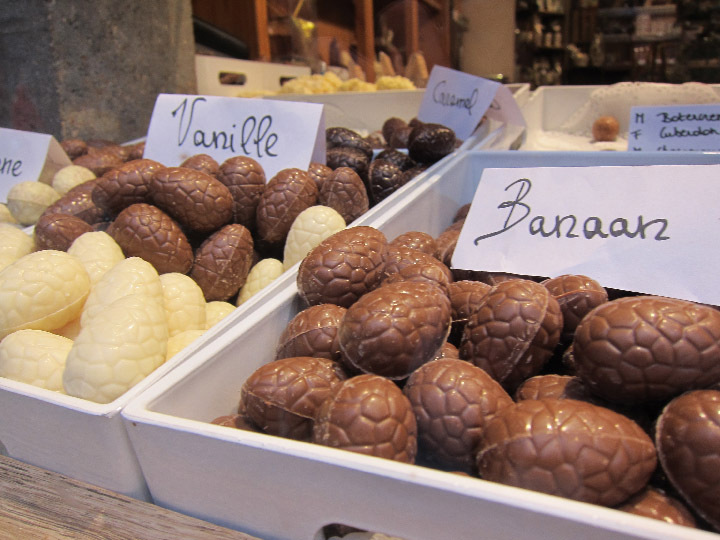 I hope you get to visit Bruges someday – just remember to bring your sweet tooth! 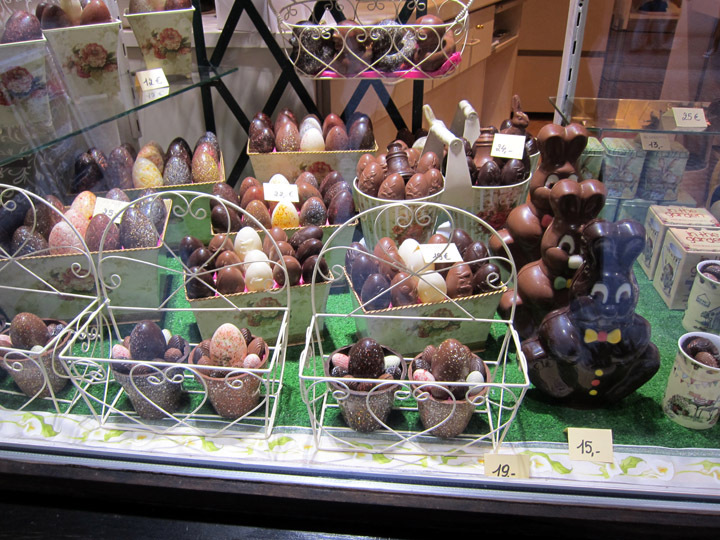 Those chocolate-dipped orange slices are exactly why I didn’t DARE enter a chocolate shop in Belgium. I would not have had enough room in my suitcase–or stomach–for all I would haul out of the store. Those chocolate squirrels are too, too adorable! Hi Jacob, that’s wonderful that you will be in Bruges! It’s a beautiful city, I’m sure you will enjoy your visit. I thought Depla Chocolaterie was definitely the best. There are cheaper stores (especially around the old town center) but their quality is not as good as Depla. Look for stores that specialize in truffles and not just chocolate because they will likely have a more sophisticated and delicious product. I would recommend tasting a couple chocolates from several shop so that you can compare and going back to your favorite for more. 🙂 Enjoy!